conclusions about the sample distribution. 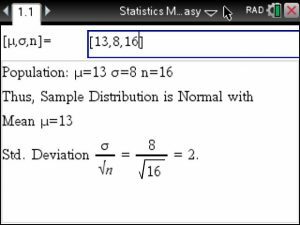 Now, using Statistics Made Easy on your TI-Nspire CX , the Central Limit Theorem can be applied easily. a must read for any statistician performing surveys!